LEXINGTON, Ky. (June 13, 2011) — One can never be too prepared for an international crisis, especially as a future member of the diplomatic community. 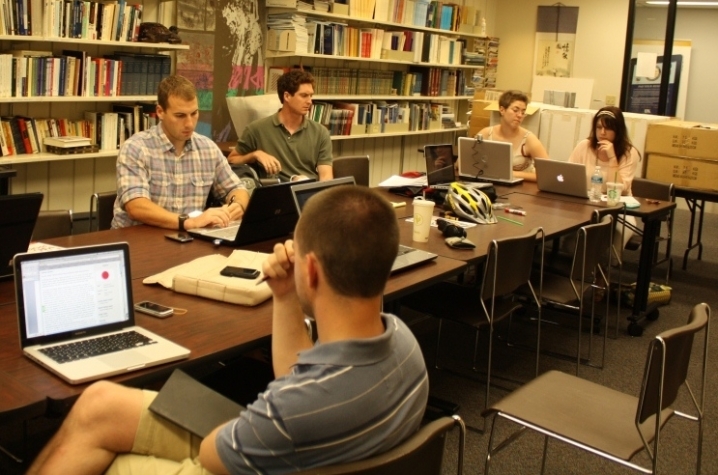 Ten second-year University of Kentucky Patterson School students will take their training to the next level, playing Japanese policy strategists during the first-ever international wiki-based grand strategy competition this month. Participants will respond to international situations ranging from terrorism and nuclear proliferation, to global energy crises and biological attack, according to Robert Farley, team adviser and assistant professor in UK's Patterson School of Diplomacy and International Commerce. "There are 37 teams represented by 34 different universities and schools worldwide," Farley said. "The students participating in the competition have undertaken substantial research on Japanese foreign and domestic policy, which would be worthwhile even in the absence of a competitive framework." Patterson students, many of whom are holding down full-time summer jobs already, will compete with leading academic institutions from around the world in navigating strategic political, military and economic problems. The competition will provide participants with the opportunity to test their skills with global counterparts and to network as well. "The competition gives the students an incentive to do considerable research, integrative thinking and writing, also serving as a window into how other teams at other schools proceed," Farley said. "The process of competing has already become, from my point of view, extremely productive." "This type of program really helps to round out our Patterson education," said student Drew Betson, as the team has divided up the various Japanese economic, political and military issues. "And it's quite challenging, as we usually focus on foreign policy from a U.S. point of view." Not only will students have to be prepared for anything, but they will have to respond to international events as their respective countries would. "There are some challenges to Japan's constitution, but other schools represent countries like Iran and North Korea," Betson added. "You have to do as these countries would do when it comes to an international crisis." Each team of students will collaborate on a Wikistrat model to forecast the team’s national course; develop national policy options for specific strategic issues; brainstorm future regional security environments; and simulate plausible scenarios of geopolitical crises. While students are only simulating a competition for prosperity or war, all participants will be vying for a $10,000 prize. 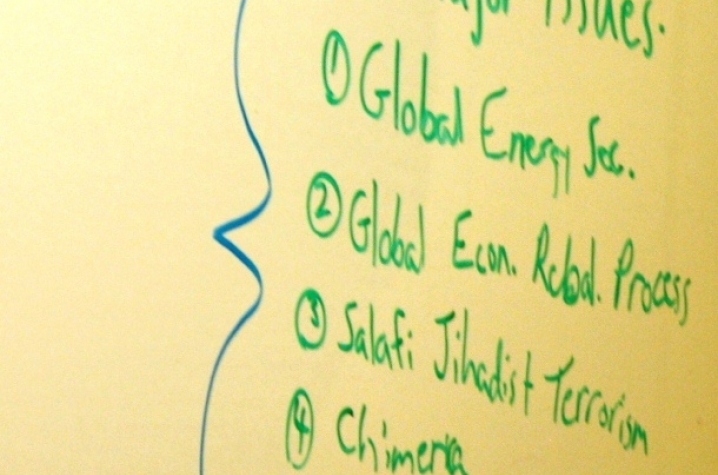 The Patterson School's peers in the Wikistrat endeavor include highly-ranked stateside programs such as Georgetown University's Edmund A. Walsh School of Foreign Service, but also universities around the world from Beijing to Tel Aviv. "It's validating for our program to be included in the competition," said Patterson student Nick Paden. "Our annual 24-hour Crisis Simulation led to our invite to participate in Wikistrat. Both competitions focus on formulating an international strategy and response." Wikistrat, a private wiki filled with constantly evolving information and analysis about global events and trends, provides users with stimulus questions to explore potential scenarios, project nation state development and forecast the impact of strategic changes.